Medium-sized and even smaller employers can help control the impact that an employee’s cancer care has on their insurance costs while still ensuring that the employee has access to the latest evidence-based treatments, according to Denis Fitzgerald, MD. “As a hematologist/oncologist, I see the human toll of cancer every day. And as an owner of a medical practice, I know how an employee’s catastrophic or chronic illness can drive up a company’s insurance premiums and deplete its self-insurance reserves,” said Dr. Fitzgerald, who practices in Little Silver, with Regional Cancer Care Associates (RCCA) LLC, one of the nation’s largest oncology-specialist networks. “By acting as informed advocates for their employees and for their companies, business executives can do right by their people while also managing their insurance costs wisely,” he said. Dr. Fitzgerald notes that much of the discussion about the cost of cancer care has focused on new, sophisticated therapies that have proven remarkably effective but that can carry six-figure annual costs. 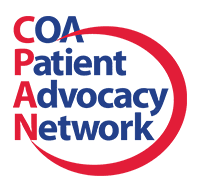 “While we need a national-level conversation and consensus on the clinical and financial implications of these therapies, many people don’t appreciate that the cost of care also is driven by issues as mundane – and readily addressed – as where a patient receives chemotherapy or other treatments,” he said. It is not uncommon for a cancer therapy that costs $250 when administered in a physician’s group practice office to cost $1,000 when given in a hospital setting, Dr. Fitzgerald said. “We’re talking about the exact same drug in the same dosage, administered in the same way by the same type of health care professional costing four times as much because a person is sitting in an infusion chair in a hospital rather than in her doctor’s office 5 miles away or even right across the street. Businesses would not tolerate that sort of unsupportable price difference for any other sort of service, and they should understand that they have choices and do not need to accept it in the medical realm, either,” the cancer specialist said. The price differential is attributable not only to the greater overhead that hospitals incur relative to free-standing medical offices, but also to arcane and archaic reimbursement policies that effectively reward providing care in higher-cost locations, he said. In many cases, large cancer centers can charge even more than community hospitals for providing the same service, Dr. Fitzgerald said. Those sorts of price differences are driving a trend toward delivering a wide range of medical services in so-called low-intensity or low-acuity settings. As detailed in a June 2018 article in The New York Times, the key is to identify the types of patients and types of services that do not require the high-infrastructure, high-cost environment of a hospital.2 Many insurers now require infusion biologic drugs (for arthritis and colitis) to be infused in an outpatient infusion center rather than a hospital. Outpatient cancer chemotherapy will likely follow this trend as well. “To cite a couple of obvious examples, cataract surgery increasingly is performed in free-standing surgery centers that specialize in the procedure, rather than in a hospital operating room, and people with sore throats and other routine health complaints can be seen more quickly and efficiently in an urgent care center than the hospital emergency department,” Dr. Fitzgerald said. “It comes down to what is best for the patient. When someone is gravely ill and needs the full resources that a hospital can offer, I see and treat him or her in the hospital. But for the great majority of people receiving outpatient cancer treatment, the doctor’s office is an appropriate, convenient and cost-effective location. It usually is easier to reach than a major hospital, and the smaller setting allows patient and staff to come to know one another personally. 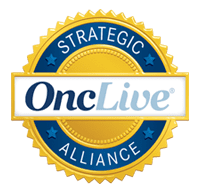 Further, because cancer care is shaped by evidence-based guidelines developed by nationwide expert consensus panels, the type of care provided is consistent across settings,” he said. Both employee well-being and sound financial stewardship argue for employers to support office-based provision of cancer care whenever appropriate for the patient, the hematologist/oncologist said. “The Kaiser Family Foundation did a study last year that found that 60 percent of U.S. companies partially or fully self-fund their health plans.3 I know from our own practice’s experience that just a few employees with serious health conditions can not only raise premiums on a business’s primary insurance policy, but also can drain the self-insurance fund and drive up the renewal cost for stop-loss policies taken out against catastrophic liabilities,” Dr. Fitzgerald said. Businesses that engage in partial or full self-insurance have a particularly strong motivation to support care being provided in cost-efficient settings, he said. “These are ‘macro’ issues, but they hit very close to home when a colleague is being treated for cancer. The chief financial officers and human resources executives of fully self-funded plans can help both their employees and their companies by reaching out to and working with community-based oncology practices, while executives of partially funded plans can urge their health plans to do the same,” the cancer specialist said. Dr. Fitzgerald specializes in hematology and oncology with a concentration in breast cancer, lung cancer, non-Hodgkin lymphoma and hemochromatosis, and is board-certified in internal medicine, hematology and medical oncology. For more than 30 years, he has been treating patients in the greater Monmouth County area, with offices in Little Silver. He is actively involved in clinical research at Riverview Medical Center and is the principal investigator for cancer clinical trials. He also is a leading member of the Meridian Cancer Care Clinical Trials team. 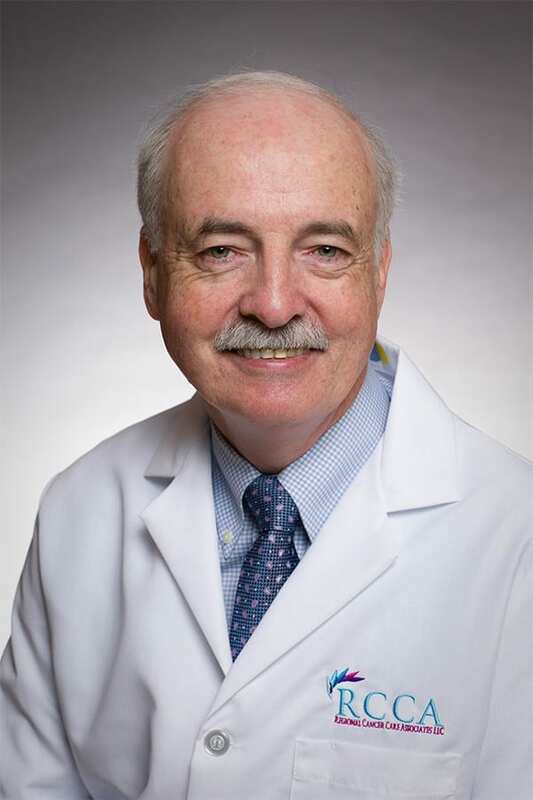 Dr. Fitzgerald is a medical director of the Cancer Center at Riverview Medical Center, former Chairman of the Department of Medicine and Section Chief of the division of Hematology Oncology at Riverview. He is a member of the American Society of Clinical Oncology, American Society of Hematology, Monmouth County Medical Society and New Jersey State Medical Society. He has been recognized annually by his peers for the past 18 years as one of the “Top Doctors” in multiple publications in the greater metropolitan area and in New Jersey for medical oncology and women’s oncology. 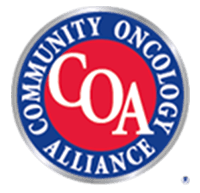 RCCA, the oncology-physician network to which Dr. Fitzgerald belongs, is transforming oncology care by ensuring that cancer patients have access to the highest quality, most comprehensive, cutting-edge treatments in a compassionate and community-based setting. RCCA includes more than 110 cancer care specialists and is supported by more than 500 employees at 30 care delivery sites, providing care to more than 24,500 new patients annually and more than 245,000 existing patients. For more information, visit www.RCCA.com. 1. Fisher MD, Punekar R, Yim YM, et al. Differences in health care use and costs among patients with cancer receiving intravenous chemotherapy in physician offices versus in hospital outpatient settings. J Onc Pract. 2017;1:e37-e46. 2. Khullar D, Frakt A. Can low-intensity care solve high health care costs? New York Times. June 11, 2018. Available at: https://www.nytimes.com/2018/06/11/upshot/can-low-intensity-care-solve-high-health-care-costs.html. Accessed July 8, 2018. 3. Kaiser Family Foundation. 2017 Employer Health Benefits Survey. Available at: https://www.kff.org/report-section/ehbs-2017-section-1-cost-of-health-insurance/. Accessed July 8, 2018.